I have over 18 years experience of ASP driven web development, Delphi and VBA programming. My Delphi work has been mostly used in the development of ActiveX controls and COM Objects,...Read moreI have over 18 years experience of ASP driven web development, Delphi and VBA programming. My Delphi work has been mostly used in the development of ActiveX controls and COM Objects, including such functionality as image processing, file transfer and compression. I have been moving more into bespoke programming since 2016 and most of this work is VBA in Excel or Word, and to a lesser extent, Outlook. My previous experience is ideal here because I can combine the disciplined programming learnt with Delphi with the VB language used by ASP. My skills have a certain amount of overlap, which can be particularly helpful in some situations. For example, my Delphi programming allows me to wrap custom code into a COM object or ActiveX control, which can then be used in another environment, such as an ASP driven website or a VBA macro. I am familiar with the concept of making a Windows API call, either from Delphi or VBA. 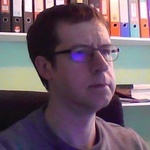 Work Experience Summary: I have run my own company publishing ASP components and ActiveX controls since 2001. During this time I have also developed ASP and database driven websites. Very patient and took time to understand our specific problem. Fast responses and would use again. Another quick turnaround and great outcome thanks Simon. Simon provided exactly what I needed. I am not very confident with Visual Basic and Macro development, and he really understood what I needed, asked helpful questions to refine what I was after and delivered a macro that worked perfectly. Thanks Simon. Excellent service, great communication and achieved the task set with no problem. Simon was very patient and managed to interpret a series of wishes and scraps of information that I fed through and produced a wonderfully formatted and fully functional output, exceeding my expectations. Thank you! Simon as perfect, very helpful, thought of issued I didn't think about even before he started the project, I would highly recommend ! A late reply is never a problem. Great to work with. Very competent indeed. 2nd job done perfectly also . Many thanks. Great comms. Right first time - what more can you ask. Will def use again.